TENER TO HAVE. 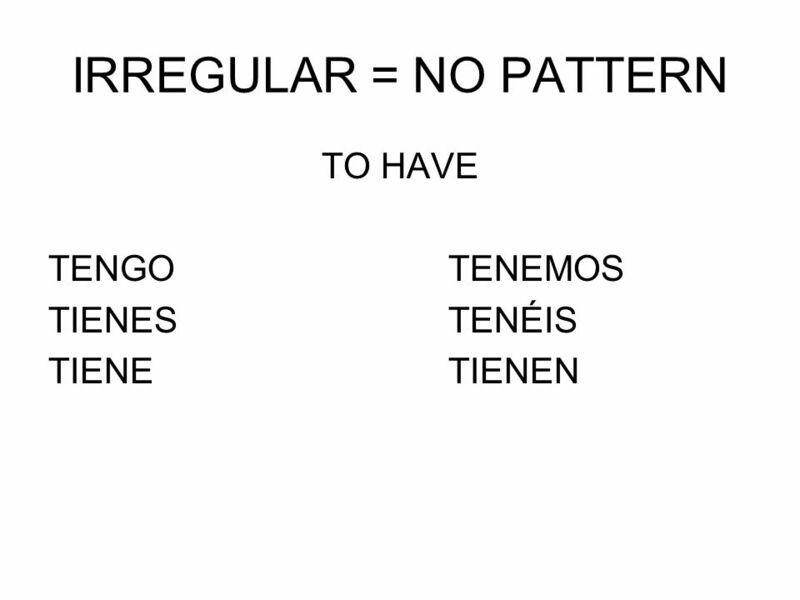 IRREGULAR = NO PATTERN TO HAVE TENGOTENEMOS TIENESTENÉIS TIENETIENEN. 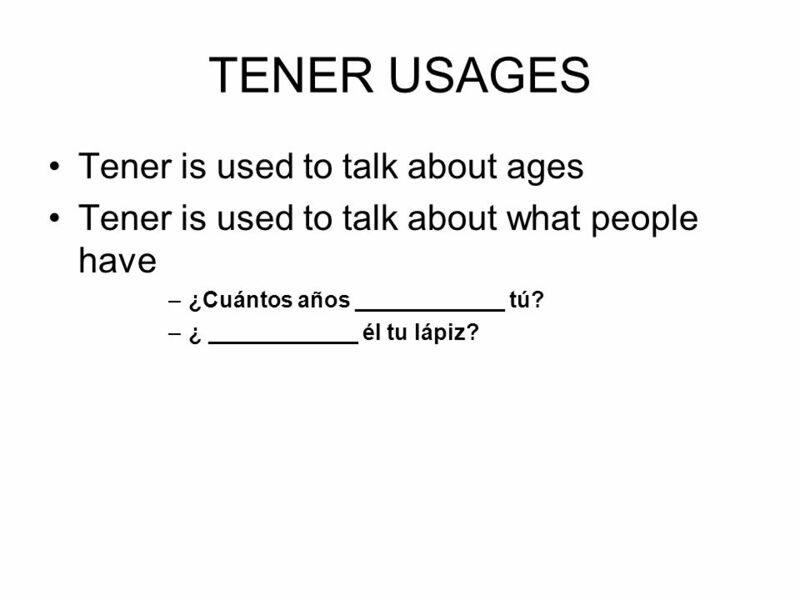 4 TENER USAGES Tener is used to talk about ages Tener is used to talk about what people have –¿Cuántos años ____________ tú? –¿ ____________ él tu lápiz? 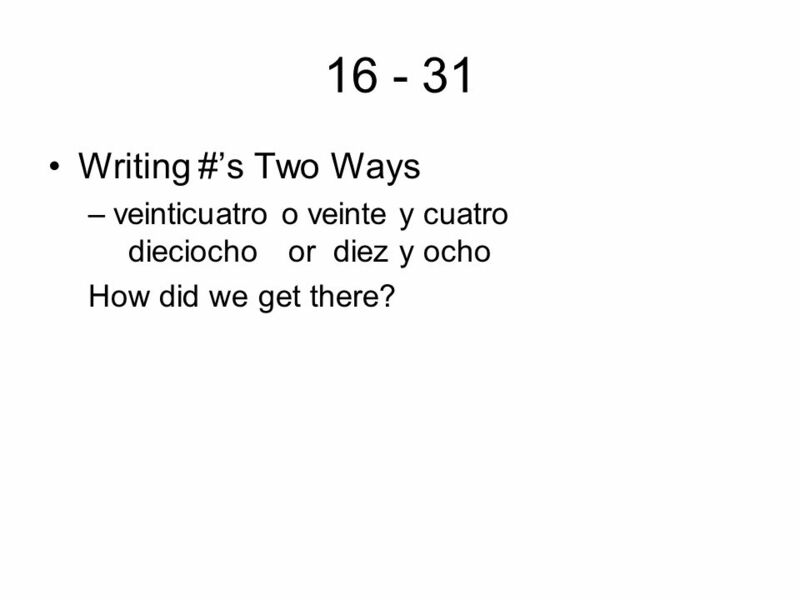 7 16 - 31 Writing #s Two Ways –veinticuatro o veinte y cuatro dieciocho or diez y ocho How did we get there? Descargar ppt "TENER TO HAVE. IRREGULAR = NO PATTERN TO HAVE TENGOTENEMOS TIENESTENÉIS TIENETIENEN." Los números Hundreds 100s Tens 10s Ones 1s. Topic: What time is it? 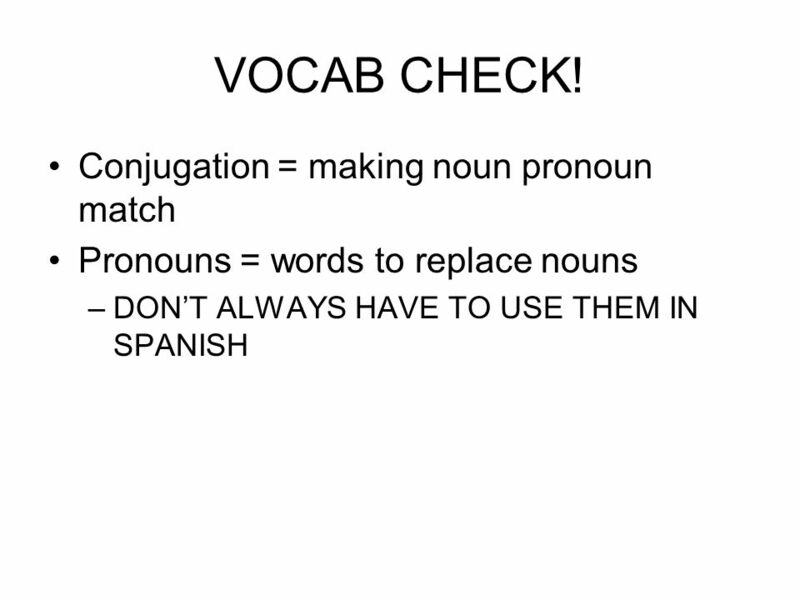 Give the Spanish translations. Click to begin. 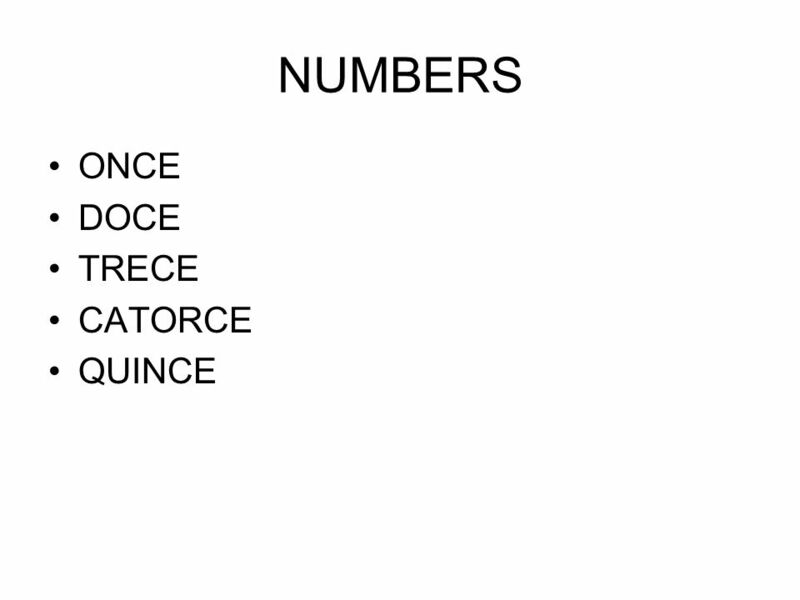 Unidad1, Etapa 3 By: Chrissy S, Daniel W, Dana L.
Hola Todays Lesson Objectives To learn the question How old are you? and how to write and say the answer to this To learn the question When is your birthday? To have. 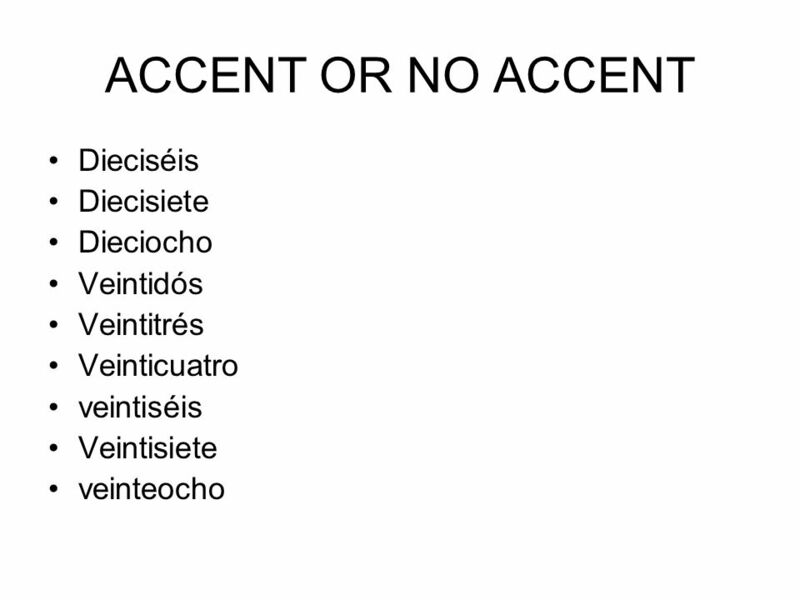 Los Objetivos What does “tener” mean? 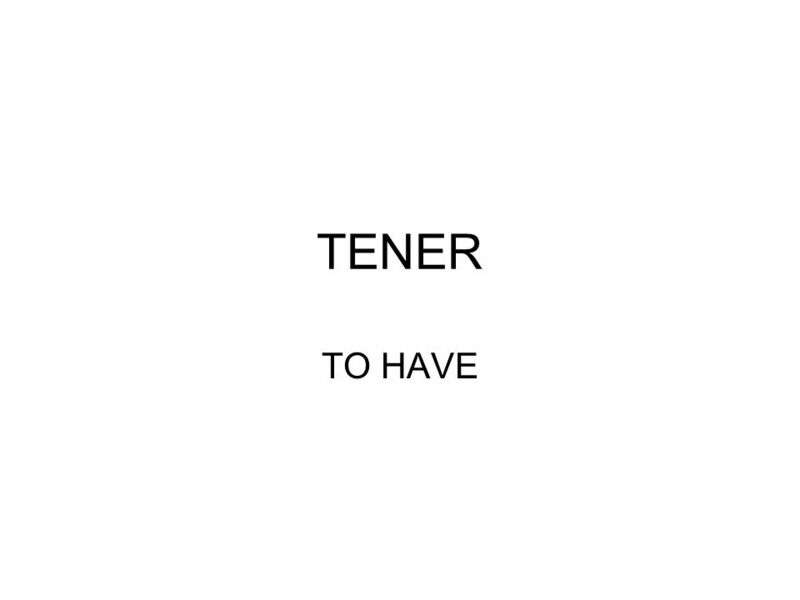 Why do we use “tener”? 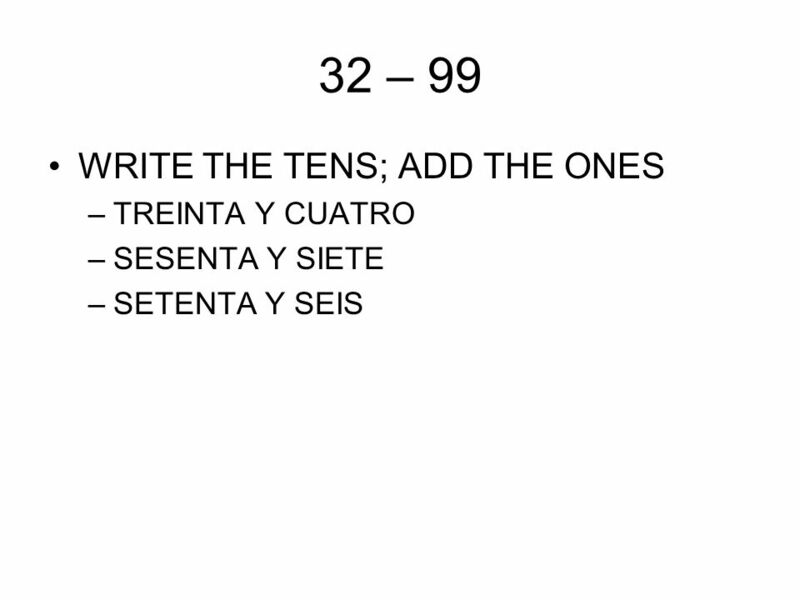 How do we conjugate “tener”?